I was considering this radio. Now that I’ve read your article I will get one in the future, but not yet. Still working on my base station setup. Nice write up. The KX3 is certainly a cool radio that’s for sure. 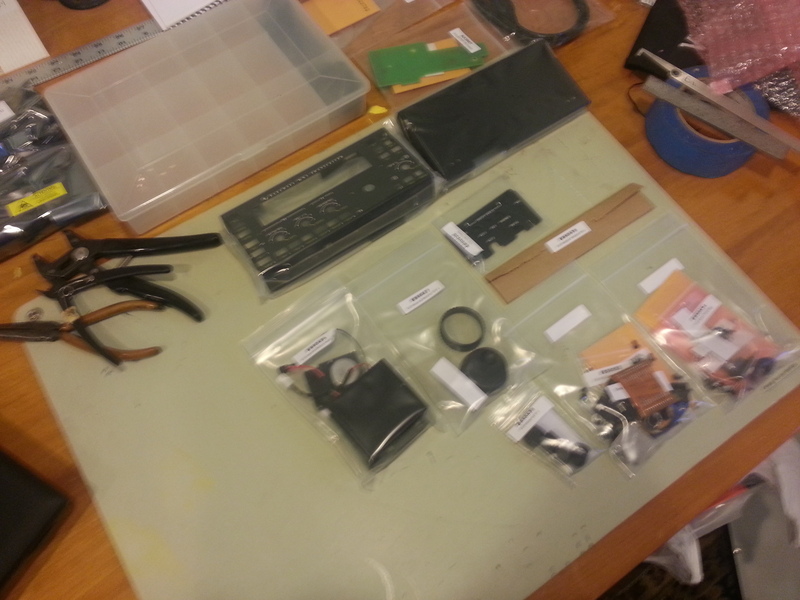 However it can be hugely frustrating when attempting to play with the big boys as any QRP is. And to use them on SDR is a PITA. Audio level I/Q is old old old in the technogy. I’m not sure why Elecraft when this route. I sold mine and recently came across another fairly below its value. That one will be going out the door soon also. The coolness factor doesn’t make it a keeper for me. Well I hope you didn’t purchase the KX3 to play with the “big boys” because it’s not designed for it. I purchased it for those days where I feel like taking a hike up a hill, climbing a mountain or going to a park that I can take my radio with me and make some contacts. It wouldn’t be easy and fun to pack up a big bulky HF rig and a large battery to operate portable. I could have got away with a FT-817 or similar but I wanted something that will stay with me for years to come. As for SDR… Well… The KX3 is in simple terms an SDR with a physical control. So even when it’s not hooked up to a computer, it’s an SDR. I’m not sure what you mean by “old old old”. Is that it’s using an Audio I/Q out to use with your soundcard as a pan-adapter? Not sure how it’s a pain when it’s just an audio patch cable from the rig to your sound card, I think the PITA would be in the software. Sorry if I come off as insulting, just curious as to why you think that? Hello, what kind of bag are you using, is everything fitting inside incl batt and mike ? While the KX3 is a fine HF radio, it still can’t compete with the Yaesu FT-817nd in terms of ruggedness and versatility. On paper, the KX3 has better HF RX specifications. It also does have more TX power. 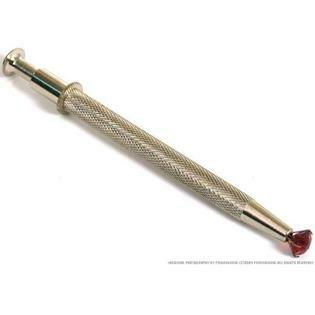 But in real life hiking & camping situations these things honestly do not help much, if at all. Worried about current draw? Don’t. With today’s LiPo batteries and other options its become a non-issue when using the FT-817nd. 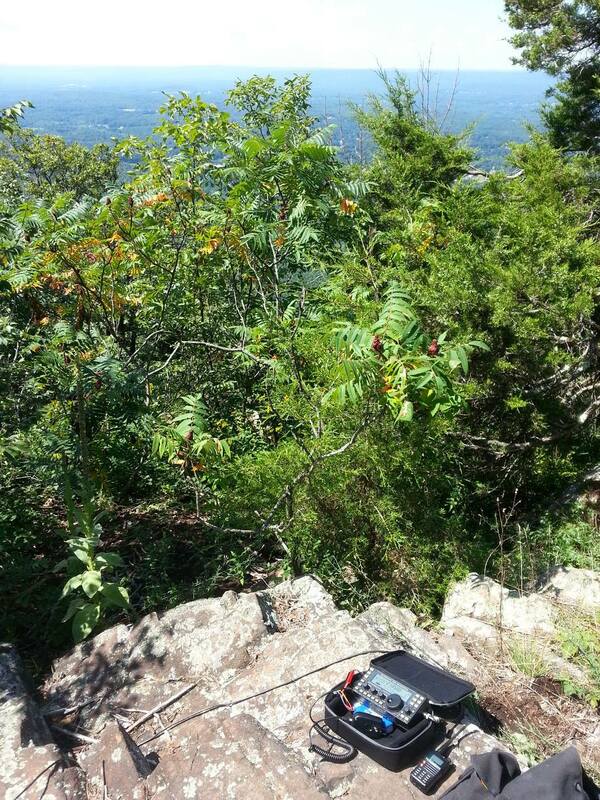 I’ve carried my FT-817s on countless long-range wilderness hikes, mountain climbs, a few SOTA activations, and other activities and I’ve never run out of portable power. My FT-817nd has a 2500ma LiPo battery in the internal bay, and I carry (2) small, lightweight 2500ma external AA packs. I always have enough power for 3-4 days and I could easily add a small solar charger too. The FT-817nd is also much more rugged then the KX3 and therefore a more serious expedition radio. And it covers modes and frequencies which the KX3 never, ever will. I’d MUCH rather have those extra capabilities in an emergency because it gives me that much more of a chance of getting a signal out, even if it has to be on 440mhz or something. Lastly, the FT-817 production numbers speak for themselves – 14 years in production and still going strong with about 250,000 units sold. 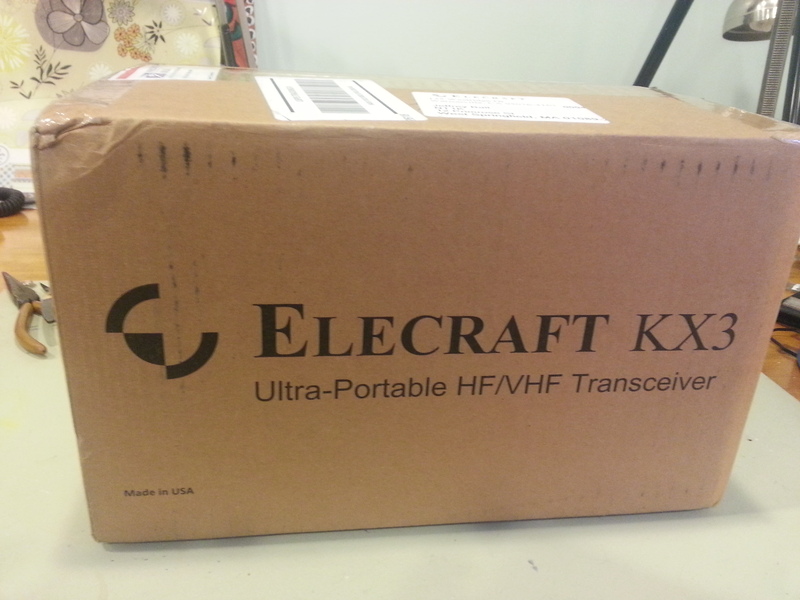 I do wish Elecraft great success, and I’ve owned & used a nice K2 in the past. But for my money right now, the FT-817nd is simply a far better bang-for-the-buck and more useful to me. I fully agree with your comments about the Yaesu FT-817. It’s an engineering masterpiece! I’ve had mine for over ten years, and it has never failed me. In my opinion, it’s still the most versatile QRP, portable transceiver on the market, with full band and mode coverage from 1.8 to 440 MHz. I should mention I’ve used my FT-817 at home in DX Contests with results one would expect from any larger transceiver. I still remember having a solid QSO with VK2GWK on 20m SSB Long Path with my FT-817. Now that is exciting! The receiver is superb, and unlike some DSP/SDR radios, the CW audio quality is much less fatiguing when operating for hours on end, thanks to a conventional receiver design with crystal filters. It’s also nice to have VHF/UHF features built-in to the FT-817, as this eliminates the need to carry an HT to cover those bands when out in the field. 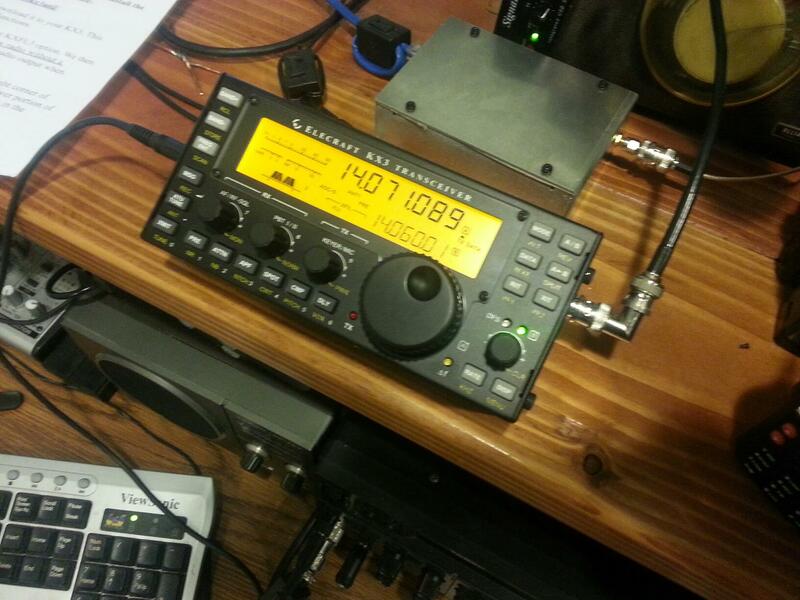 If you have never used an FT-817, try it and you will love it! THANK YOU YAESU!!! Hi Jeff, Now that you’ve had the KX-3 for a while. What mods or accessories have you added to it? Besides the tuner and mic that is? Larry, nothing much really. I would like to make or get a key. I don’t do much digital so an upgraded heatsink doesn’t really appeal to me. They do have a newer VFO encoder but I have no issues with what I have. 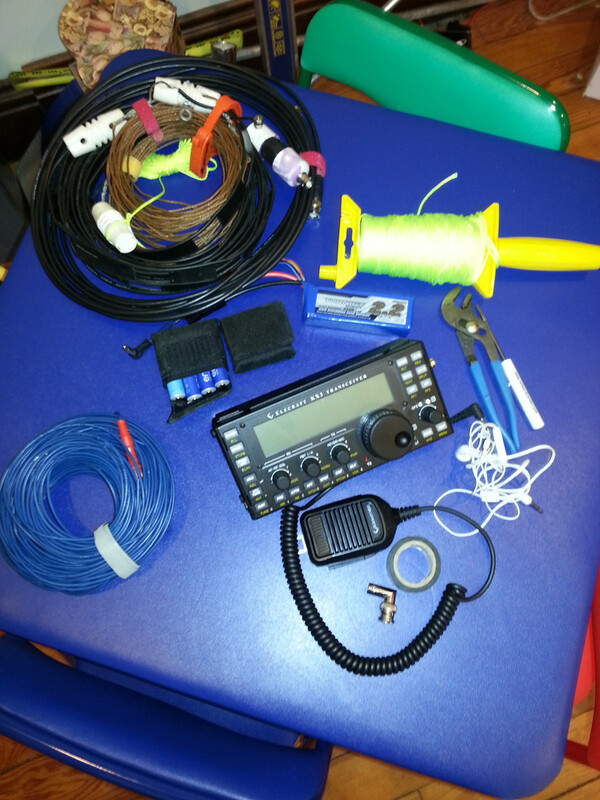 I have numerous QRP radios. I’ve owned an FT 817 and enjoyed it very much. The KX3 is not a cheap radio, but it sure is one of the best radios on the market. I use it in the shack as well as portable. When I purchased the radio, I put it on the air post haste and worked 100 countries, with only 5 watts, in two months. My antenna of choice, for portable operations, is a 40 meter off center fed antenna, model number, “OCF40QM”.